Families Moving On established in 2009 for the benefit of the inhabitants of Omagh and the surrounding environs of Co. Tyrone. The group is an interdenominational victims and survivors group set up to support those affected through terrorist related incidents in which members do not avail of duplicate services from other funded groups. Members may suffer as a result of bereavement, injury or through traumatisation by witnessing any incidents in the area. Members can be carer's of those injured or traumatised. FMO strive on the varied membership it has which includes all age groups, religious denominations and affiliations, gender, marital status, educational and economical status. Members have a universal and collective aim of moving on with their lives by enhancing their social life, health and wellbeing, career opportunities by providing essential skills and ensuring our young people have a plat form to achieve to their upmost abilities. 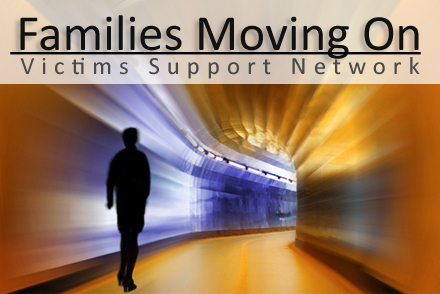 At FMO, we feel we are a unique group in terms of our varied membership, previous experience in the Victims/Survivors Sector (i.e. management committee are aware of real needs, experience in management structures & systems etc and ensuring needs are met and resources used in effectively)and our universal desire to move on, leaving past pain behind. FMO aim to provide a safe place where victims and survivors can avail of services appropriate to them and relevant to their needs in order to help alleviate their personal stress caused though terrorist related activities. We aim to be aware of the changing needs of members and to ensure members take decisions based on information and choices available locally regarding educational, training, volunteering, practical and recreational opportunities. Provide or secure the provision of welfare rights advice and information and refer those in need of profession advice to the relevant agencies. Promote and carry out or assist in promoting and carrying out research, surveys and investigations into the experience and needs of the beneficiaries in the area of benefit, provided the useful results are published. Ryan joined FMO in February 2014. Ryan completed his studies at Liverpool John Moores University with a degree in Law and at the University of Ulster with a Masters (LLM) in Human Rights Law. Ryan has previously worked at the Northern Ireland Assembly as a Research Officer, writing numerous papers in relation to Human Rights. Maureen joined FMO on June 2012. Maureen's previous experience is in administration and health and safety. She works very closely with the Committee and the Project Co-ordinator. Maureen loves working with the general public and enjoys her role at FMO. Kevin is the Chairperson of FMO and representative in member liaisons. He regularly chairs meetings offering everyone the chance to share their views whilst also helps in the planning with the Secretary. Kevin has and continues to meet with political representatives and public bodies like the Commission for Victims and Survivors to promote the issues of victims and moving forward into a shared future. Glynis helps to orgainse meetings, preparing the agenda, taking minutes and deals with correspondence to the committee. George looks after all financial transactions including preparing budgets, keeping records for the Committee and helping prepare annual accounts.